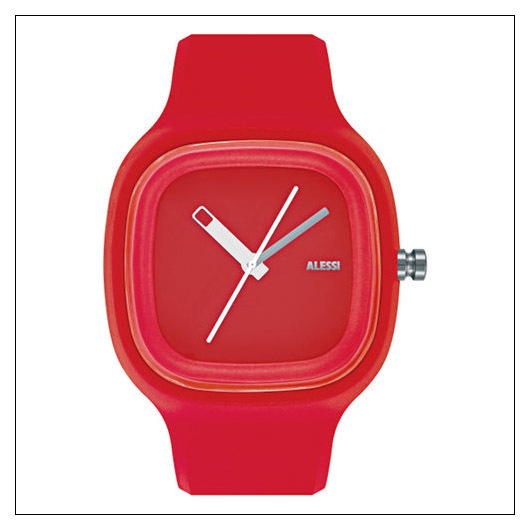 KAJ Watch by Alessi (ALKAJ) at Pure Design / Accessories / Jewelry ::: Furniture for the Home, Office, Home Office, and More at Pure Design Online! The KAJ Watch offers pure design with technical precision. A clean dial style (no numbers) makes this modern watch just a little bit retro. face is 1.5" D. flat length of watch is 9.5".